In the information age that we live in today, the speed at which information can travel inside a company would often indicate the productivity of that company. It is often necessary to create an environment where the flow of data is unimpeded and the intended recipient gets it instantaneously. 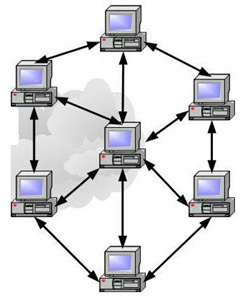 Computers make this possible and there are multiple ways to implement such a network. An Intranet is a computer network that is designed to work like the internet but in a much smaller scale and is restricted only to the employees of the company. It is possible to run FTP, HTTP, and mail servers in the intranet that is independent and inaccessible from the internet without proper authorization. This allows the employees to send progress reports to their manager even when they cannot meet in person. Workers could also work collaboratively on a certain project while keeping their paperwork properly synchronized. It is often necessary to have access to the internet from within your intranet, which is why intranets are placed behind a firewall. Some companies even deploy two firewalls and place some services inside the DMZ in order to raise their security further. An intranet, although very helpful, wouldn’t be very effective if it is totally removed from the internet. The internet is the massive network of computers from all around the world. It allows people to virtually any point in the world at a very minimal cost. Services like Email and VoIP has allowed many people to keep in touch despite geographical locations and time zones. Being connected to the internet, a company can have their people in the field or those who are working at home to still be able to do what they would usually do when they are inside the office. They can connect to services inside the intranet and submit their work or contact their coworkers and superiors. They can even call online if their office supports IP-PABX systems. The Intranet and the Internet are two domains that are very alike but are often segregated in order to maintain security. If properly configured and guarded, an Intranet that is connected to the Internet could raise your company’s productivity by leaps and bound; not to mention cutting down the cost of traditional communications. It could also open the door to malicious people who can do major damage or even steal confidential company data if done haphazardly. It should be up to the management to make sure that all precautions are taken. Find Books about internet and intranet. Ben Joan. "Difference Between Internet and Intranet." DifferenceBetween.net. August 25, 2009 < http://www.differencebetween.net/technology/difference-between-internet-and-intranet/ >.